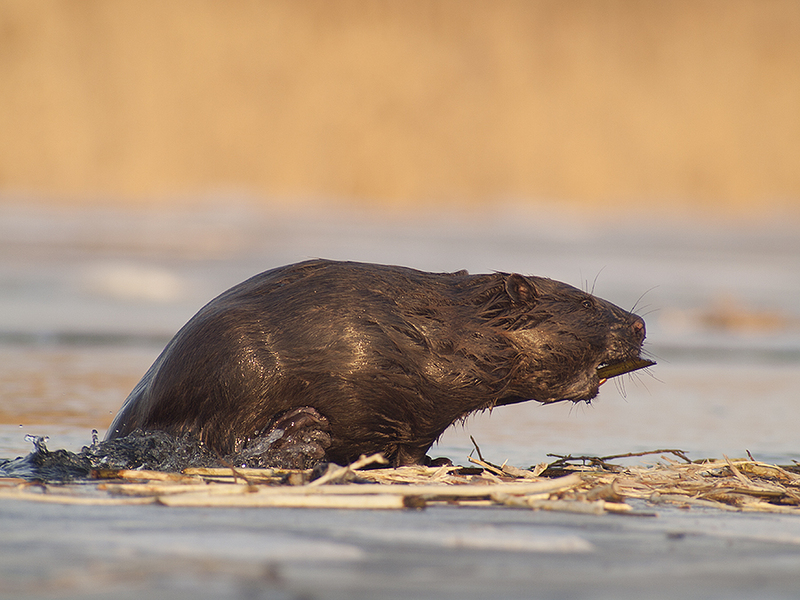 In his third bulletin on mammals in Biebrza National Park, Artur Wiatr, Honeyguide’s leader in Poland, writes about beavers. Photos by Piotr Dombrowski. 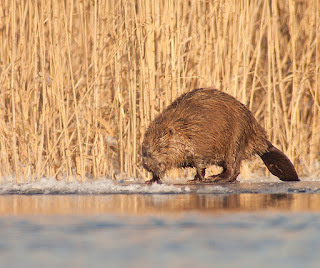 "Beaver: the second largest rodent in the world and the biggest one in Europe, known for its very interesting behaviour. Biebrza the river was named after the beaver and in old Polish language Biebrza means ‘beaver's river’. Considering that now it is a very numerous mammal it may be hard to believe that in the beginning of the 20th century beavers became extinct here. They were reintroduced to Biebrza again from Russia after WW2. "Beavers have a high sense and knowledge of water engineering, reflected in building dams, creating ponds, building lodges and digging corridors and chambers in the ground. 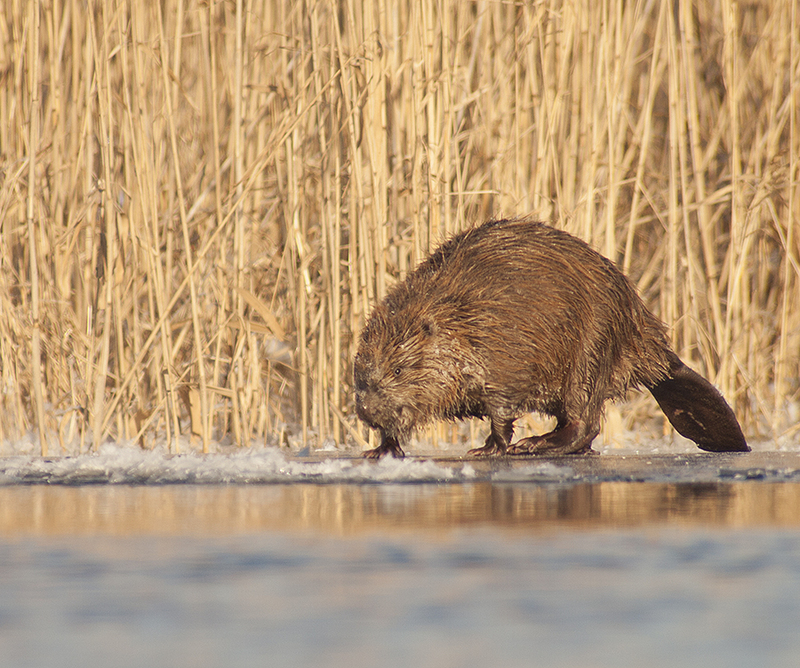 Doing this process, beavers improve local environmental conditions for other animals yet sometimes may be in conflict with what man would not like to see, such as flooded meadows or broken trees. "Beavers do not hibernate over winter time so they must prepare themselves. They cut small tree branches and pile them underwater to eat them over winter when rivers are frozen and they have no access to fresh food. "The beaver is rather a shy creature with a nocturnal life style. Of course you can see them once in a while over a long period. Again, winter seems to be a good moment to watch them. In warmer days when ice starts to get melted you can see beavers enjoying themselves on the ice eating fresh willow branches and doing their ‘manicure and pedicure’. "